DO-30800-08 was succesfully added to your cart. 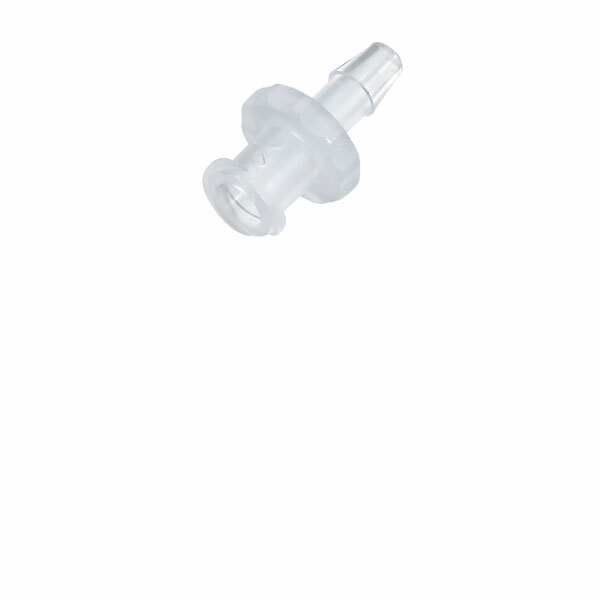 Manufactured of animal-free natural polypropylene, these luers meet Class VI specifications. Luers offer superior chemical resistance and are suited for ETO and gamma sterilization. (not recommended for autoclaving). Sold in packs of 25. Do you have an alternative part number that is the same, but autoclaveable? Please see items 45502-04 and 45512-04 which are autoclavable. You must also consider compatibility of these materials with your solution. Why not not recommended for autoclaving? There are different types of PP resins; this particular resin has properties which are not conducive to autoclaving. My bipap machine needs two Luer connections to monitor the pressure. Both of them broke and I could not find replacements (even at the manufacturer).My sleep apnea is severe and I considered buying a new machine at approximately 7500 $. Then I found that I could buy 25 replacements for those Luer valves for less than 12 $ at Cole-Parmer.Almost a miracle !